David Neill, the Principal Investigator on this project, devoted at least part of every month to the Cordillera del Cóndor project from January 2005 to April 2007. During this time he supervised the field work of the three Ecuadorian botanists and three Shuar parabiologists who participated in the floristic inventory activities of the project. He also served as the principal instructor for the four dendrology courses, held during September 2005, May and November 2006, and April 2007, and supervised the fieldwork for the six one-hectare forest inventory plots that were sampled by the course participants. He also supervised the data entry of the more than 10,000 plant collections made during the course of this project into TROPICOS, Missouri Botanical Garden’s online botanical database. Together with Carmen Ulloa of Missorui Botanical Garden, Neill published in 2006, in the MBG journal Novon, a new species of Melastomataceae, Phainantha shuariorum, endemic to the Cordillera del Cóndor and a generic-level disjunct from the highland sandstone plateaus of the Guayana Shield; the specific epithet is dedicated to the Shuar ethnic group in whose territory the species is found. Neill is currently preparing for publication, additional new species of trees based on recent collections from the Cordillera del Cóndor region, in several different families including Clethra (Clethraceae), Lozania (Lacistemataceae), Dacryodes (Burseraceae) and Parkia (Fabaceae). Neill is also preparing a publication on the forests of the Cordillera del Cóndor, based largely on the six one-hectare forest inventory plots, and a separate paper on the biogeographical patterns in the flora of the region, dealing especially with the endemisms and Guayana Shield disjunctions of the plants recorded from the sandstone plateaus of the Cóndor. Neill also has collaborated extensively, throughout the period of the NSF project, with the Ministry of Environment of Ecuador, with local Shuar and mestizo community groups, and with industry representatives including the Corriente Resources copper mining firm, to assist in planning for protected areas and other conservation measures in the Cordillera del Cóndor region. This work will continue in future years as the management plans for the newly declared protected areas in the region begin to be designed and implemented. Partly through Neill’s collaboration with the Ministry of the Environment, the majority of the sandstone plateaus of the Cordillera del Cóndor, with their unique flora and vegetation, are now within formally designated protected areas. 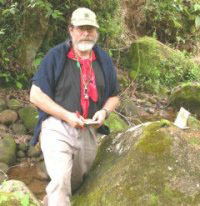 Henk van der Werff, the first CoPrincipal Investigator, carried out field work in the Cordillera del Cóndor on two trips to Ecuador, during October-November 2004 and October-November 2006. He was accompanied in the field on both occasions by Wilson Quizhpe, an Ecuadorian botanist from Loja who worked on the project, and by Bruce Gray from the CSIRO herbarium in Queensland, Australia. During these two field trips about 1500 collections were made from three principal areas in the Cordillera del Cóndor region: the Río Quimi area in the north, the Río Nangaritza area farther south, and the Río Vergel area in the southernmost part of the Cóndor region within Ecuador. Both van der Werff and Gray are specialists in systematics of Lauraceae, of which many species are canopy trees, difficult to collect, and poorly represented in herbaria, so their fieldwork concentrated on collecting Lauraceae and other canopy trees in flower or fruit. During the first field trip in 2004, they made a total of 76 fertile collections of Lauraceae, an unusually high proportion for any collecting foray in the Neotropics. A number of these are species new to science, that van der Werff is currently preparing for publication, as well as other species newly reported for Ecuador, previously known only from Peru. In November 2006, van der Werff’s field work in the Nangaritza area coincided with the third dendrology course led by David Neill in the same area, so van der Werff presented a “guest lecture” to the 40 students in the course on the systematics of Lauraceae. 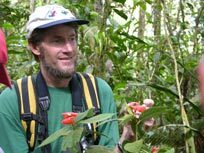 Steven Churchill, a bryologist with Missouri Botanical Garden based in Santa Cruz, Bolivia, is an expert on the moss flora of the Andes, a topic on which he has authored and co-authored a number of publications. Churchill`s participation was essential to the inclusion of bryophytes in the floristic inventory of the Cordillera del Cóndor. 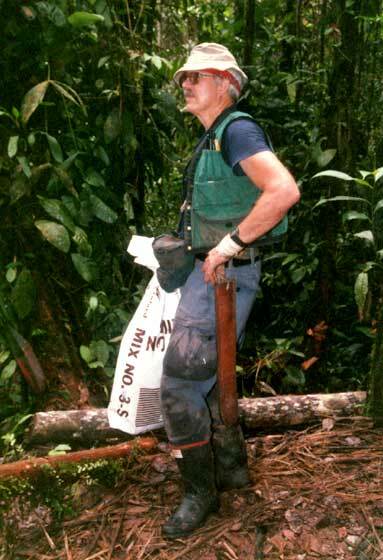 He carried out fieldwork to collect bryophytes during October-December 2005. He was accompanied in the field by an Ecuadorian undergraduate student beginning to work on bryophytes, Edison Jaramillo. They made collections in the Río Quimi and upper Río Nangaritza areas of the Cóndor region in Ecuador. Churchill also examined the bryophyte collections at the National Herbarium of Ecuador (QCNE) and made many determinations of specimens housed there, including numerous collections made in previous years by bryologists and students in the Cordillera del Cóndor region. Churchill later worked further on the determinations of bryophytes from the Cóndor region, with the duplicate specimens that were sent to Missouri Botanical Garden. He compiled a preliminary checklist of the mosses of the Cordillera del Cóndor. Thomas Croat is a Senior Curator at Missouri Botanical Garden whose research interests center on the systematics of Araceae in the Neotropics. He is currently working on the Araceae treatment for the ‘Flora of Ecuador’, a series edited in Sweden and published in Denmark. The Catalogue of Vascular Plants of Ecuador (1999) listed 404 species of Araceae for the country, but Croat has estimated (pers. 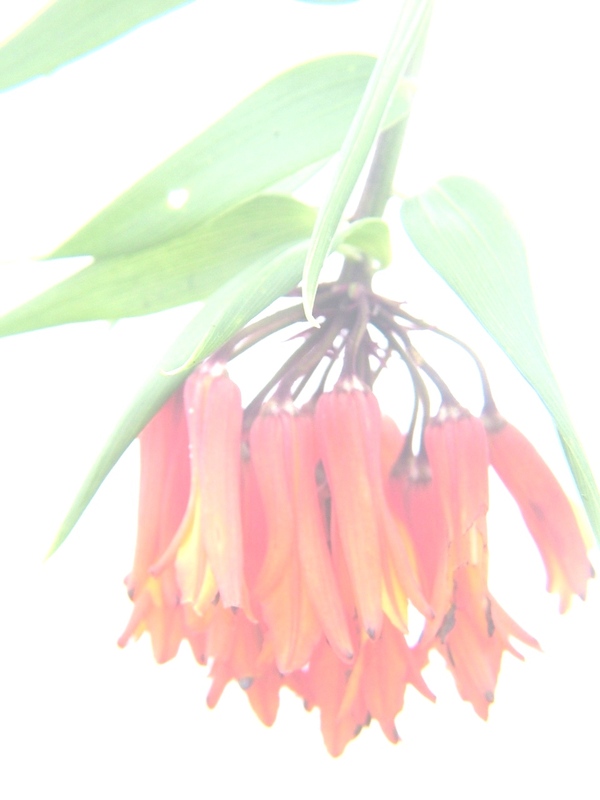 comm.. to David Neill) that about 1,000 additional, undescribed species of Araceae occur in Ecuador. Tom Croat has made many collecting trips to Ecuador over the past several decades, and during the current project, he made collections during July-August 2004 and April 2006; both trips included fieldwork in the Cordillera del Cóndor as well as other regions of Ecuador. His fieldwork was not supported by the grant from NSF, but by grants from the National Geographic Society and private donors. His collections, however, are included in the online database of the flora of the Cordillera del Cóndor on Missouri Botanical Garden`s TROPICOS web site. Mercedes Asanza, an Ecuadorian botanist, is a professor of botany at the Universidad Central del Ecuador, in Quito. She is also the spouse of David Neill, the PI on this project. 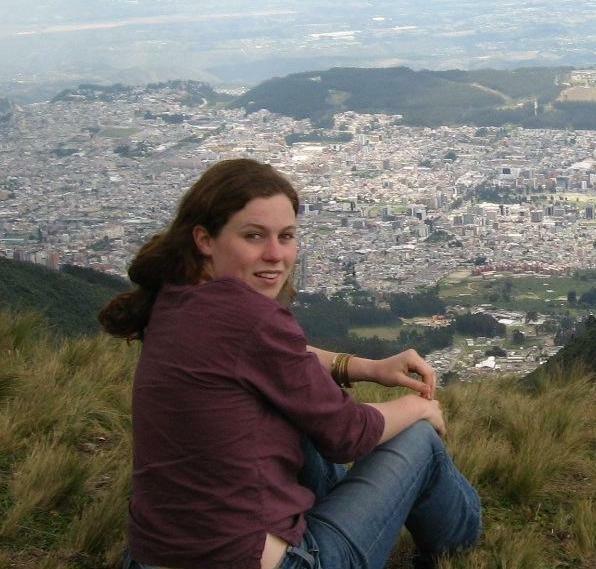 Each year, she organizes a field course on the flora of Ecuador for her 4th-year botany students. During the project in the Cordillera del Cóndor supported by NSF, the majority of the participants in the second and fourth dendrology courses (May 2006 and April 2007) were Mercedes Asanza’s 4th-year students from the Universidad Central. On each of these field courses, the students carried out and reported on individual research projects dealing with plants, besides attending the dendrology lectures and field exercises and participating in the one-hectare forest inventory plot field work. Each year, the students made public presentations of their research projects in a symposium at the Universidad Central in Quito. Mercedes Asanza’s research interests are in Pteridophytes, and she made collections of ferns while in the field in the Cordillera del Cóndor on several occasions. Mercedes Asanza also helped with logistical and administrative support for the duration of the three years of the project, as well as the accounting of the project for the expenses incurred in Ecuador. Bruce Gray is a plant systematist with CSIRO, the Australian scientific research agency, based in Queensland, Australia. His research interests center systematics of Lauraceae, an interest he shares with Henk van der Werff of Missouri Botanical Garden, and the two have frequently collaborated on fieldwork in various regions of the world. Gray participated in the floristic inventory of the Cordillera del Cóndor, accompanying Henk van der Werff, in October-November 2004 and October-November 2006. 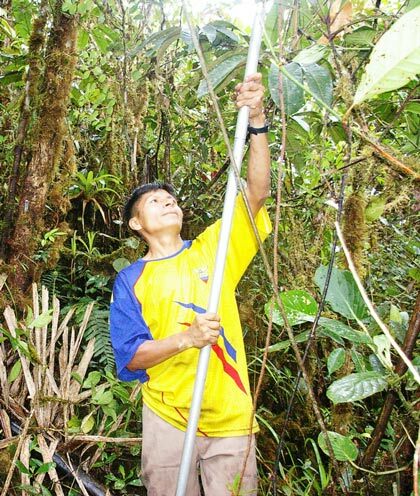 He is an expert at collecting herbarium specimens from tropical trees that attain heights of 30 m or more, using a slingshot to shoot a line over the topmost branches of canopy and emergent trees, and then pull the line to break a branch with fertile specimens. He used this technique to great effect on his two trips to Ecuador. He also taught these techniques to the Ecuadorian botanists in the field and presented them with the equipment after each of his field trips. José Manzanares is a Spanish botanist and horticulturist who has resided in Quito, Ecuador for more than 25 years, and has become the foremost authority on the systematics of Bromeliaceae in Ecuador. He has published two volumes of his projected four-volume, profusely illustrated systematic treatment, titled “Jewels of the Jungle: Bromeliaceae of Ecuador”. The second volume, published in 2005, on subfamily Pitcarinioideae, included 14 species of Pitcarirnia new to science of which 5 species were recent collections from the Cordillera del Cóndor. As part of the project, José Manzanares spent a month in the herbarium at Missouri Botanical Garden in June 2005, to work on specimen identifications and manuscripts for the subsequent volumes of his opus on the Bromeliaceae of Ecuador. Rodolfo Vásquez is a Peruvian botanist and forester, and is the head of Missouri Botanical Garden`s program in Peru, currently based in the town of Oxapampa in the Selva Central region of Peru. 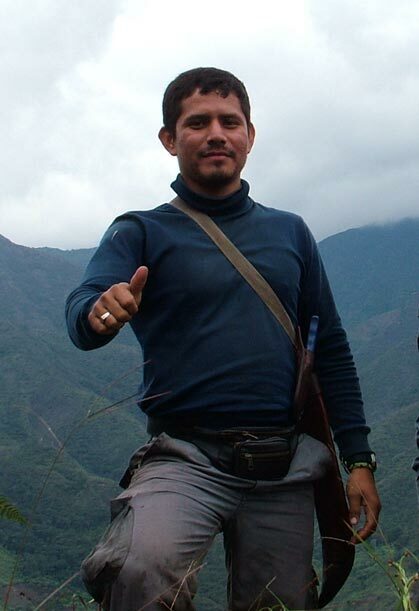 Although he carried out field work in the Cordillera del Cóndor region and the Río Cenepa region of Peru during the 1990s, Rodolfo did not personally participate in the fieldwork in this project. He served as liaison for the project activities in Peru, supervised the field work of the Peruvian botanists, Juan Perea and Eric Rodriguez, who conducted the botanical inventories in the Peruvian portion of the Cordillera del Cóndor, and obtained the required research and collecting permits from the Peruvian agency, INRENA, that issues the permits. Wilson Quizhpe, a native of Loja, Ecuador, is a professional forester and graduate of the University Nacional de Loja. He served as the major liaison between the project and the Loja university herbarium, and the project’s principal contact with the regional office of the Ministry of Environment in Loja, which has jurisdiction over the Cordillera del Cóndor region. Wilson participated on a full-time basis with the project from November 2004 to April 2007 and made about 2,000 plant collections during this period, mostly in the central and southern portions of the of region in Zamora-Chinchipe region. Wilson has been accepted into the graduate program of the Universidad de Alicante in Valencia, Spain, and his MS thesis (and possibly later, a doctoral dissertation) will be a study of the forest flora and vegetation of the Río Quimi watershed in the central portion of the Cordillera del Cóndor. He visited Missouri Botanical Garden, together with the Principal Investigator and three other Ecuadorian botanists, during July-August 2006 and worked on the species descriptions for his study of the tree flora of the Río Qumi watershed. Tuntiak Katan is a Shuar student in the Applied Ecology program at the Universidad San Francisco de Quito, and completed his third year of studies in the June 2007. He will be the first Shuar in history to complete a university degree in biology. Tuntiak was one of the four Shuar high school graduates who participated in the conservation biology training program with Missouri Botanical Garden and the Wildlife Conservation Society in 2002-2004. Edison Jaramillo was a student in the biology department of the Universidad Central del Ecuador. He acquired an interest in bryophytes, and in this project, he collected bryophytes in the Cordillera del Cóndor as a field assistant with Steven Churchill, during November-December 2005. Following this learning experience, he completed his undergraduate thesis, a survey of the mosses at the Yanacocha biological station in the eastern Andes of Napo province in northern Ecuador. Pablo Almeida, an Ecuadorian geographer, is a specialist in Geographic Information System (GIS) technology, and is Director of the Conservation Data Center of Ecuador, a non-governmental organization associated with the Jatun Sacha Foundation and based in Quito. Under contract with Missouri Botanical Garden, Pablo Almeida and his technical staff prepared the base maps for the Cordillera del Cóndor flora project, using ArcGIS and other cartographic software. The cartography was compiled using digitized topographic maps at 1:50,000 and 1:100,000 scale from Ecuador and Peru, and from these the GIS team developed a Digital Elevation Model at 30-m scale. For Ecuador, the cartography also includes geologic and vegetation layers. The map will be used for online presentation of the Cordillera del Cóndor floristic database using the internet map server system at Missouri Botanical Garden. This feature has not yet been implemented. Camilo Kajekai is a Shuar “para-biologist” and graduate of the training program in conservation biology for ethnic Shuar and Awá high-school graduates, held by Missouri Botanical Garden and the Wildlife Conservation Society during 2002-2004. He participated in the project from September 2005 to April 2007 as a plant collector, and made more than 1,000 collections. With his knowledge of the Shuar names of many plants as well as the Latin binomials of the same plants, his contribution to the project was very significant. He also helped as participating instructor in the dendrology courses and helped the dendrology students with the one-hectare tree plot inventories. 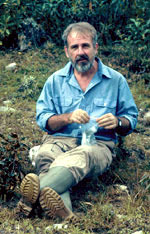 Many of his plant collections in the Cordillera del Cóndor were made in his home community, Kaputna, at the northwestern limit of the region, and included low-elevation species not found elsewhere in the study area. Abel Wisum is a Shuar “para-biologist” and graduate of the training program in conservation biology for ethnic Shuar and Awá high-school graduates, held by Missouri Botanical Garden and the Wildlife Conservation Society during 2002-2004. He participated in the floristic inventories of the Cordillera del Cóndor during several periods: September-December 2005, March-September 2006, and January-April 2007. Some of his plant collections were made outside of the study area, near his home in the Shuar community of Tumpaim in the heart of the Cordillera de Cutucú, the sub-Andean range north of the Cordillera del Cóndor, and these collections allow for comparisons of the flora between the two adjacent cordilleras. 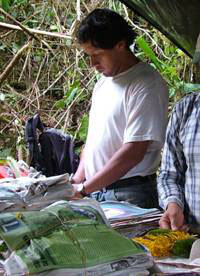 Carlos Morales, an Ecuadorian botanist and graduate of the Universidad Central del Ecuador, participated in the floristic inventory of the Cordillera del Cóndor on this project from June 2005 to December 2006. He generally worked in the field collecting with Diego Reyes, in the northern sector of the Cordillera del Cóndor in Morona-Santiago province. He also participated as assistant instructor on the four dendrology courses led by the PI from September 2005 to April 2007. In July and August 2006, he traveled with David Neill and three other Ecuadorian botanists to Missouri Botanical Garden, where they worked on processing and identifying the specimens collected through June 2005 in the Cordillera del Cóndor. 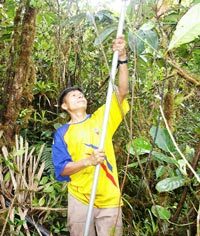 Diego Reyes, an Ecuadorian botanist and graduate of the Universidad Central del Ecuador, was a student on the first dendrology course in September 2005, and subsequently participated as a plant collector on the project from March to December, 2006. He worked alongside Carlos Morales in the floristic inventories in the northern portion of the Cordillera del Cóndor. Diego Reyes visited the herbarium of Missouri Botanical Garden during July-August 2006 and helped to process the project collections at MO. Like the other Ecuadorian botanists who visited MO at that time, he also made use of the library and herbarium facilities to advance his knowledge of floristic taxonomy and to plan future research endeavors. Eric Rodríguez is a Peruvian botanist based at the herbarium of the Universidad Nacional de Trujillo, in the coastal city of Trujillo, where he is collections manager of the university herbarium. 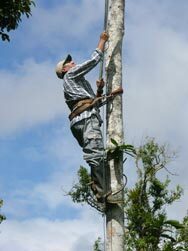 He has many years of experience of fieldwork in the Andes and the coastal regions of northern Peru. The Universidad Nacional de Trujillo was the principal Peruvian institution that participated in the NSF-supported project for the floristic study of the Cordillera del Cóndor, and Eric served as the principal Peruvian counterpart for this project. With some students and other faculty members from his university, he made two plant collecting trips, in July 2005 and April 2006, to the southernmost spur of the Cordillera del Cóndor. This ridge, that forms the boundary between Cajamarca and Amazonas departments, is generally known in Peru as the Cordillera Huarango. Eric Rodriguez was participated as an assistant instructor in the first dendrology course, held in Ecuador in September 2005, and led the contingent of six Peruvian students to that participated in the field course. Jennifer Gruhn is a biologist who worked in the herbarium of Missouri Botanical Garden in the city of St. Louis, Missouri, and she was responsible for the processing of herbarium specimens pertaining to the various projects in Ecuador. Her work included registering the specimen collections when they arrived from Ecuador and sending collection duplicates to the taxonomy specialists located at various herbaria and academic institutions across the world. The specialists then returned the species-level identifications attributed to the collections. Following this, Jennifer incorporated the information into the botanical database TROPICOS. Juan Perea is a Peruvian forester and botanist; he is a native of the city of Iquitos in lowland Amazonian Peru and a graduate the Universidad Nacional de la Amazonia Peruana in that city. He has participated as a field botanist with Missouri Botanical Garden`s programs in Peru for several years. He was one of six Peruvian students on the first dendrology course sponsored by the NSF project, in Ecuador in September 2005. Subsequently, he was contracted as a plant collector for the NSF project and carried out floristic inventories in the Río Chirinos watershed, in the northernmost part of the Cordillera del Cóndor within Peru, from April to December, 2006.